First of all, I’d like to share some very exciting news with you lovelies! We’re about to buy our first Sydney home! This is quite exciting, however we have to be very careful with our spending right now. So that has inspired me to find more creative ways to live without sacrificing my lifestyle. As for example, Christmas decor can cost a fortune. But with a bit of creativity, glue and coloured paper you can create fabulous decorations yourself. 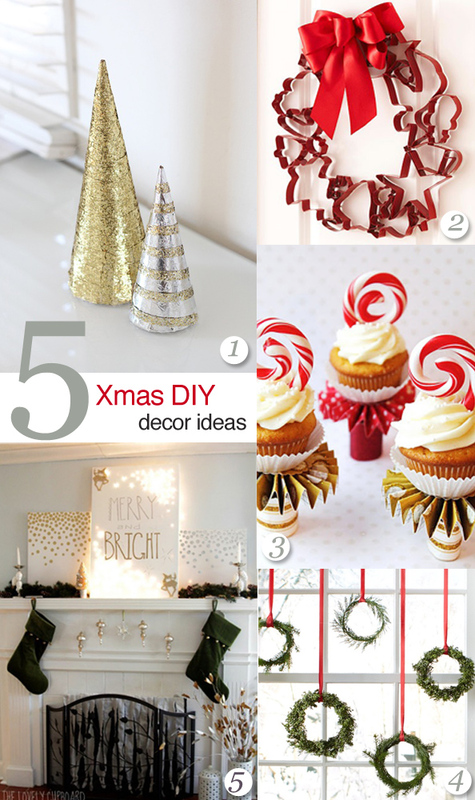 I particularly like these 5 DIY Christmas decor ideas as they are easy to execute and look pretty amazing. For example, tiny glitter Christmas trees can be a great alternative to a traditional Christmas tree (especially, if you don’t have much space like us at the moment).